Orange Psychology welcomes Jenny Ingram, Chartered and Registered Forensic Psychologist to the team. 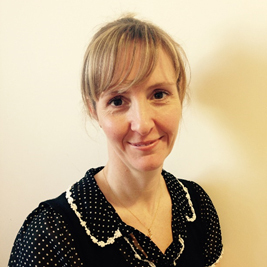 Jenny is an experienced Forensic Psychologist who has worked in adult mental health and HM Prison Services. She has joined Orange Psychology as an Associate Psychologist to support the development of therapeutic environments in Residential Care homes for children in the North West. Dr Jo Mitchell, Managing Director at Orange Psychology explains; “We have an exciting opportunity to bring together different psychological disciplines for the benefit of vulnerable young people in the North West. Jenny is a strong practitioner who demonstrates a steady hold when faced with complexity. She has experience in working directly with vulnerable groups, assessing risk, and developing psychological intervention. But she is also especially skilled in the collaborative consultation, providing containment, and facilitating reflective discussions, which is absolutely essential for those staff working with vulnerable young people on a day to day basis. For more information about Jenny please view her full bio here. For more information about Orange Psychology working with Children’s homes click here.